We strive to be your go-to bed bug eradication supply store with a comprehensive series of innovative products and packages at unbeatable prices. 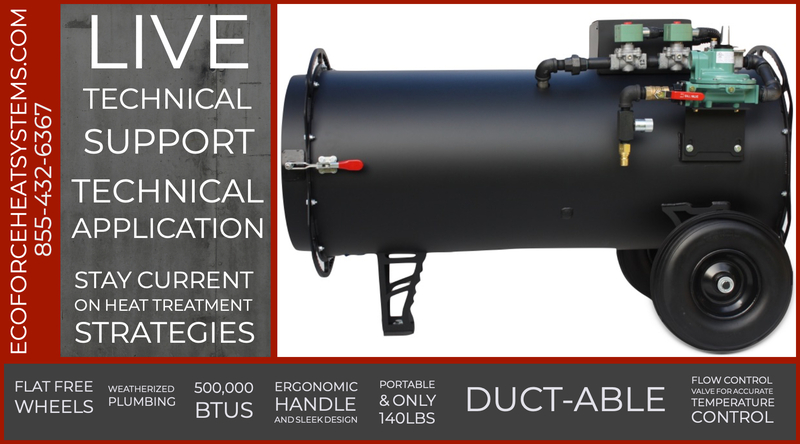 From commercial bed bug heaters to industrial blowers, EcoForce Heat Systems has infestation covered with superior products. Our goal is to incorporate the most advanced technology in today’s market to provide property owners and service professionals alike the ability to kill bed bugs with heat. Our bed bug heat systems offer affordability, excellent performance, compact design and ease of use. Eradicating bed bugs as quickly as possible is paramount. Use the proper industrial bed bug heat treatment equipment for your bed bug remediation projects to ensure that infestation stops there, protecting businesses, homes and guests. Offering an entire line of electric bed bug heaters, direct fired propane heaters and accessories. Let our knowledgeable staff help choose the right heat package for your needs.